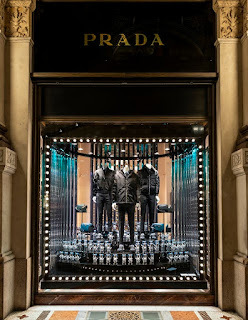 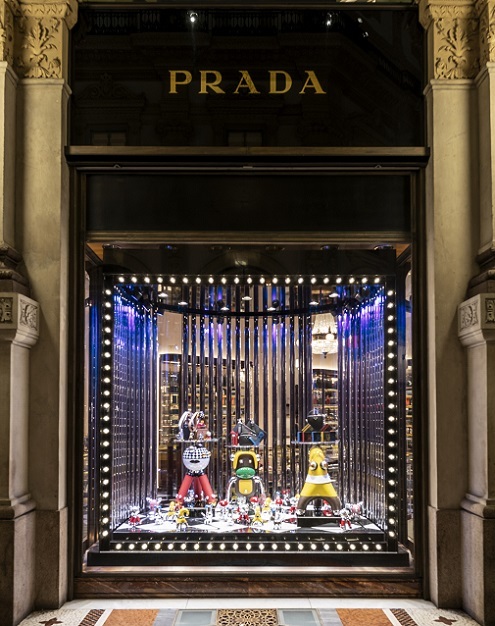 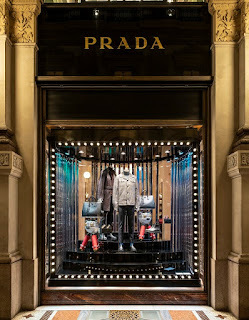 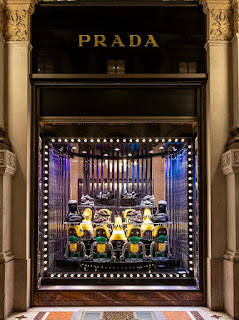 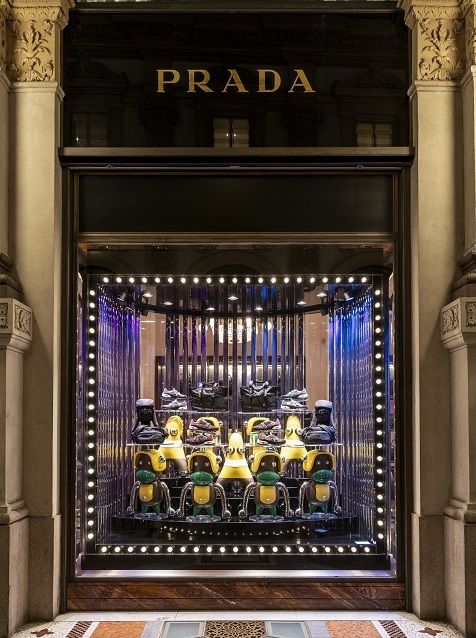 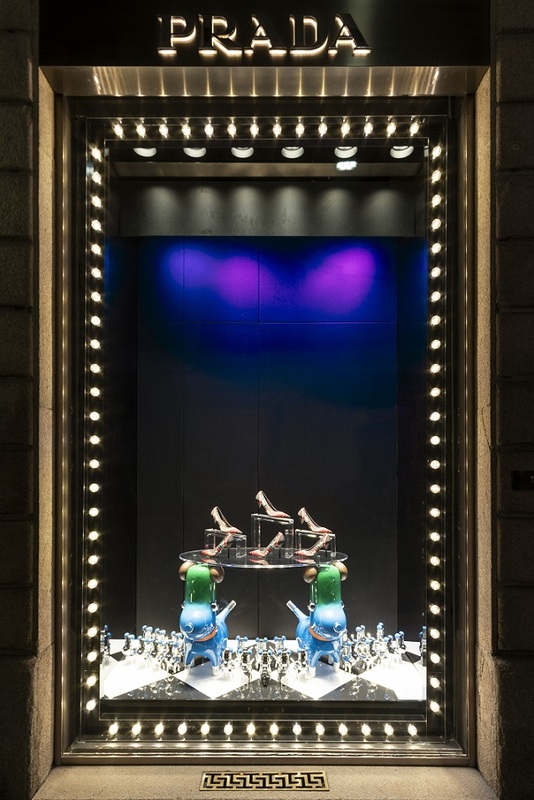 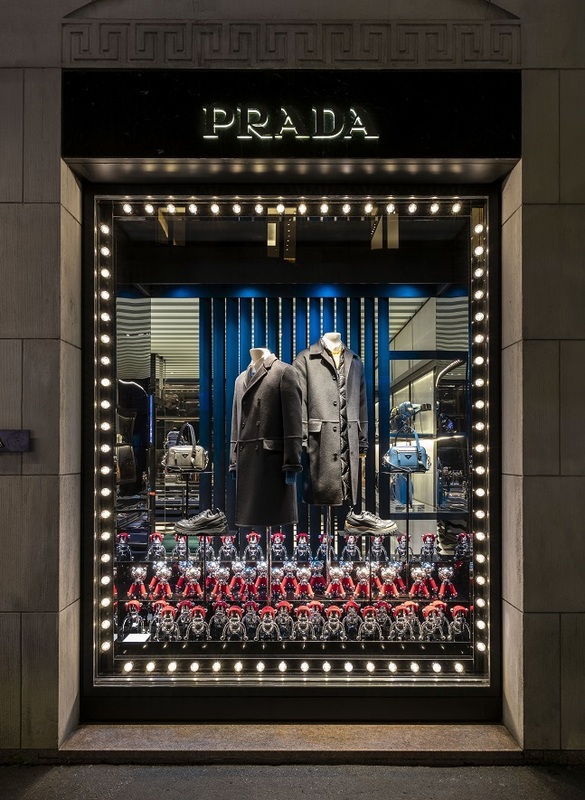 This Christmas season, the original Pradamalia creatures are invading Prada store windows. 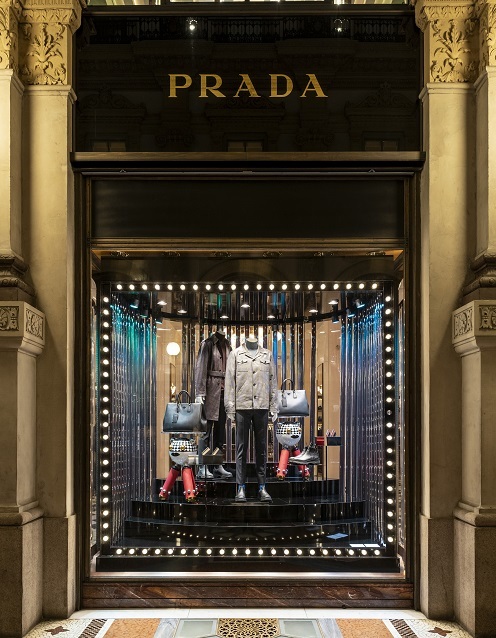 This new family of tricks - generated in imaginary and futuristic Prada Labs - is the result of a collaboration with 2X4 New York. 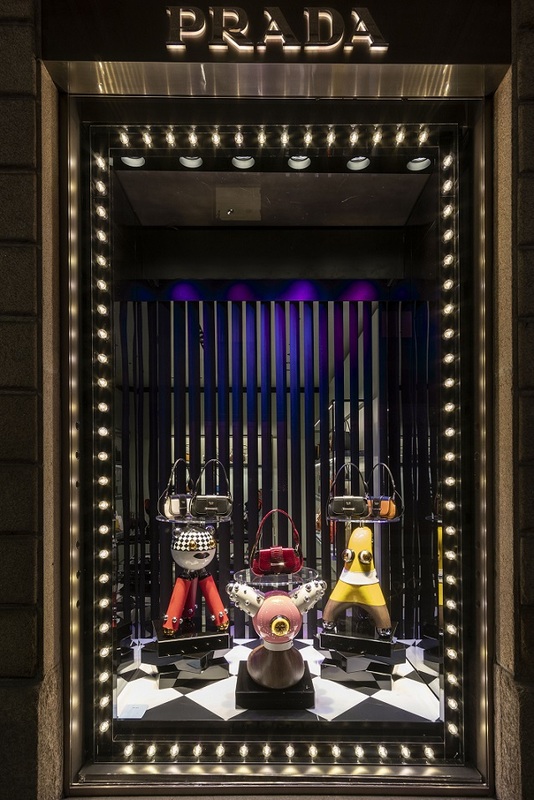 Against a nighttime backdrop, illuminated by the glow of blinking red, purple and magenta lights, these curious and unique creatures with original personalities take their place in an unusual and sometimes bizarre way among the products on display, revering them and sometimes advancing with controlled movements that evoke an enchanting holiday mood. 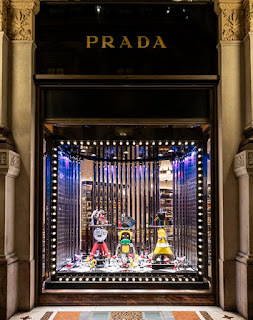 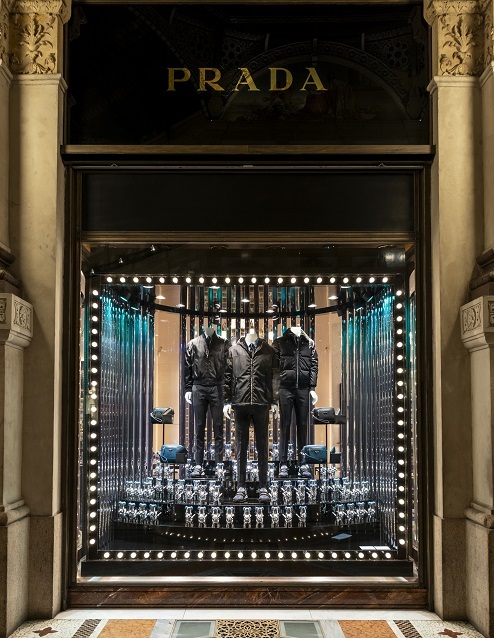 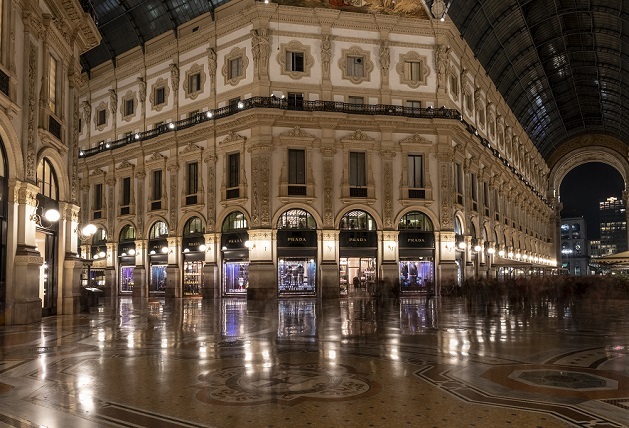 A border of dim light bulbs frames the scene at the center of which are featured Prada products for the holidays, including the new Prada Sidonie bag, the Resort 2019 collection as well as the Pradamalia items which are available in different versions and sizes (H20 cm and H70 cm available upon order).